There are singular personalities in the history of the world who change the course of civilization. The primary example of such a person is Abraham. He changed the way the world thought about itself, life and especially the Creator. That is why his name, in Hebrew, means, “Father of Numerous Nations.” He is the father of civilization as we know it. From his time and onwards people would never think about themselves the same way. He was born in a time of tremendous upheaval. We all think we live in times of turmoil – and that may be true. The human condition is dangerous, chaotic and in constant flux. The only thing constant about it is that is constantly changes. Nevertheless, there are times of turmoil and there are times of turmoil. Abraham lived in a world with a collective memory of the Flood; a world contending with the tyranny of Nimrod, the first true tyrant; a world that will divide into separate nations; a world deeply at conflict with itself that will endure more than two decades of war between major powers; a world buried under the heel of a thousand years of idolatry; a world gone mad – ultimately, a world with no hope for the future. He was born in Mesopotamia, modern-day Iraq and Iran. His father Terach was a merchant who sold idols. Idol selling was big business in those days. There was a different one for every mood, temperament and personality. The masses, the primitive people, believed in paganism. They were frightened of it. However, the more sophisticated people knew it was nothing; they just had no other choice, as far as they could see. There was no other philosophy in the world. They did not have the tools to go beyond it. Many times in history there were conscious efforts of individuals to raise the bar and counter the powerful influence of idolatry. Generally, those efforts were not successful because they did not have the necessary leadership. He traveled a number of times from Mesopotamia to what would become the Land of Israel. He was not alone in his travels. It was a time of great movement and migration. Great cities and city-states were springing up, each with their own unique culture and deities. Jerusalem was called Shalem (Salem) at the time. According to the Oral Tradition, Noah’s son Shem, and his grandson Eber, started and headed an academy located there dedicated to the traditions of the Creator and morality. The knowledge and philosophy of monotheism were developed there. However, it did not have a large following. It was an ivory tower that did not influence society. One had to go to it; it was not exported to others. Likewise, wherever he settled he opened a school. In our terms, we would say he established institutions of social welfare and education. Through those institutions he was able to reach thousands and thousands if not millions of people. Historians say that a number of the Pharaohs were essentially monotheists. Not coincidentally, those Pharaohs lived around and after the time of Abraham. His visit to Egypt (Genesis 12) made an impression. The idea of monotheism took hold in the highest echelons of Egyptian society. However, they had no way to sell it to the masses, because there was a tremendous bureaucracy of idol worship. None of the priests in the temples were going to give it up. Egyptian society remained pagan because the infrastructure of idol worship was so strong that the Pharaoh himself could not turn it around. Whether they believed it or not, the priests were not going to give up their jobs. Outside of Egypt, however, Abraham’s name spread rapidly among the masses. His ideas, character and personality became the talk of the civilized world. He roused the world from the slumber of paganism. Now there was an echo within countless individual families that there is a God, morality and a greater purpose to life. Abraham married Sarah, who was a great person in her own right. Even without Abraham she would have been a tremendous force to reckon with in the world. God told Abraham to listen to Sarah, because, Tradition has it, she was greater in prophecy than Abraham was. Nevertheless, these two great people had a long and difficult life together. Sarah was barren for many years. In trying to remedy the situation, Sarah asked Abraham to bear a child for her through her maidservant, Hagar. Ultimately, the child born from her, Ishmael, caused many problems. Eventually, God told Abraham to banish Hagar and Ishmael from his household, which was extremely difficult for him. Abraham had a nephew, Lot, whom he hoped would be his heir apparent, but once Lot tasted success he decided to go his own way and settle in Sodom. Lot is not necessarily an evil person; he just does not want to shoulder any responsibilities – and Sodom is the ideal place for a person who wants to escape responsibility. Domestic strife in Abraham’s house is omnipresent. All he wants to do is build civilization through his family and all his family does is fall short of the task or forsake him. Finally, when Abraham was seventy years old he had a great vision known as the “Covenant between the Parts” (Genesis 15). This covenant singled out him and his family for a special existence in humanity. It is really the beginning of the Jewish story. Indeed, Jewish history cannot be understood properly except through the lens of covenantal theory. This special covenant is a two-way commitment between God and the Jewish people that will unleash forces to compel it to continue, including horrific suffering. And that is why Abraham is at first terror-stricken by the vision. He sees darkness, vultures and fire. He sees the enslavement in Egypt and the destructions that will come upon the Jewish people throughout history. He sees Auschwitz. Nevertheless, far from a punishment leading to annihilation, the suffering of the Jewish people will ultimately make them stronger and bring them back to their commitment to the covenant. And we have seen this borne out in history again and again. Just look at the enormous advances of the Jewish world after the Holocaust, which is only the most recent example of this phenomenon. Once Abraham accepts Jewish history begins. Whatever happens to the Jewish people is a result of that covenant. All the ups and downs are based on its predictions. In reality, Abraham’s choice is the choice that faces each and every generation, indeed each and every Jew. The struggle within the Jewish people to live by the covenant and pursue its goals or to give up on it — as well as the struggle of the world to break the covenant from them – is part and parcel of the struggle implied by acceptance of the covenant. Of course, at the time Abraham is offered to enter into the covenant there is one technical problem: he has no children and his wife is incapable of having children. She is infertile. That, too, is part of the covenant: under normal circumstances there is no Jewish future. The Jewish people are always “infertile,” coming face-to-face with the impossible. There cannot be another generation. And the world counts upon it; it is a sure thing that they will disappear. After 3,000 years they are still waiting for it to happen. The future of the Jewish people is that there is no future. On paper it will never add up. The covenant does not rely on logic. It is a truth that exists on a different plane. Who could imagine that after so many years we are still here? That is the covenantal nature of Jewish history. Arguably, the epitome of this is the Binding of Isaac. 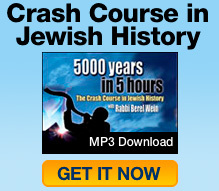 Nothing like it illustrates the miraculous thread that Jewish existence relies upon. Even after Abraham is willing to take the covenantal journey and finally grants him the child he has been waiting his whole life for it is all still in danger. Only the breath of an angel – which says, “Do not stretch forth your hand against the boy” (Genesis 22:12) — stands between a Jewish future and extinction. The covenant, impressed in the flesh of the Jew, emanates from a realm beyond human reason. It is our commitment to our God and a higher morality. It is our faith and our responsibility; our history and destiny. And it all originates in the great person, Abraham, who single-handedly changed the course of civilization. How would I read up more on the places and events that are described here? Are there reliable historic sources that I can read aside from inside the Chumash and midrashim. I was searching on Amazon and only found archaeology books trying to disprove the Torah.. I am a frum person who is very interested in these things. There is a book by Breasted on Ancient history that is very positive.